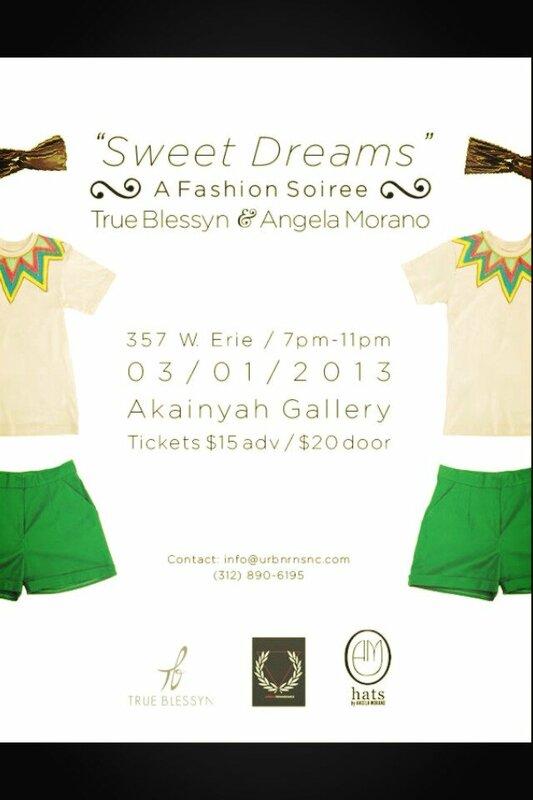 So on March 1, 2013, I attended “Sweet Dreams”, A Fashion Soiree hosted by True Blessyn and Angela Morano and I just fell in love with the positive and beautiful atmosphere! The fashion, the people, the dreamers, the believers, the ambitious, the commanders, the entrepreneurial spirits and the artist were all there intertwined in the Akainyah Gallery; somewhat near downtown Chicago. Checkout my video coverage of the inspirational event and witness a tidbit of the designers speech as they spoke about their journey and their “sweet dreams” coming true. I’m so inspired!